It know, I know, it’s been a while since my last post. I took a break from the interwebs for last few weeks to tackle some projects that have been on my to-do list forever, including building this floor lamp. 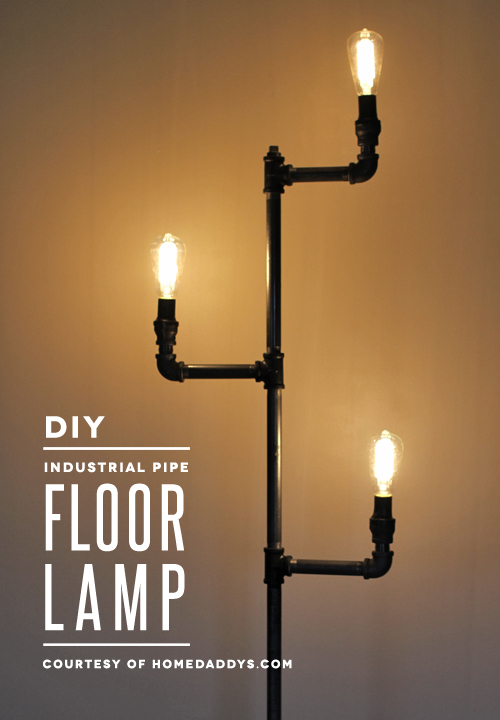 I made the entire thing from scratch using industrial pipe, some lamp wire and a few vintage light bulbs. I know, it’s awesome. You know what’s even more awesome? I made a step-by-step tutorial so you can build your own! Jessica from How About Orange was nice enough to publish it as a guest tutorial on her blog, so go check it out. I’ve got a few more projects that I’m tackling over the next few weeks, so I’ll only be writing intermittently. However, I can promise that even more industrial pipe goodness awaits those who are patient. So stay tuned, people.